Orthopaedics by Dr Tushar Mehta. These are the reviews of medical students who read the book Orthopaedics Punch! I never liked Orthopedics in my UG life. 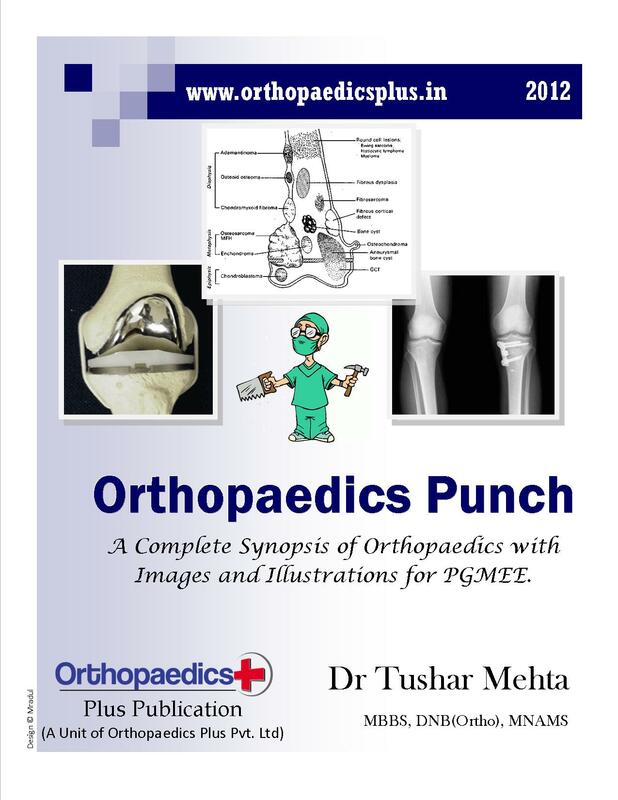 After reading orthopedics punch, i was amazed. The style of writing is awesome. I enjoyed it thoroughly. A must have guide book. And moreover every word written in the book is authentic, thats the best part. Loved it!! I had always felt Orthopaedics is a difficult subject and there was a lot of mugging up required, given the large amount of factual data to be retained. Not so anymore, since i recieved your book, ‘Orthopaedics Punch’; the basics are explained in a lucid manner, with pictures, diagrams & tables, and the recent advances are presented well. Though a topic on joint involvement in connective tissue diseases was missing ; I’m not pointing out a flaw, but it would have been a nice read in the ‘punch’ style! The book is gripping, from beginning to end, with all the smileys and ‘punches’, it not only makes a good read, but also makes us feel that the author is interacting with us throughout with the good narration & explanation. It takes a lot to make a subject simpler, & Dr. Tushar Mehta has just done that. Thank you Sir for this book, a concise, comprehensive coverage of the subject.